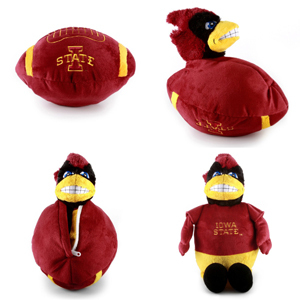 Browse: Home / 2010 Iowa State Football Season Review – Season Predictions, How did we do? Let’s take a look at how we did on our Preseason Predictions. 2010 Actuals (5-7) (3-5) – Winning 8 games was the best case scenario in my mind before the season. Was it ever likely? No, but Jon Miller picked Iowa to go undefeated so I had to do something about it. 9/2 Northern Illinois (2009 record: 7-6) – Top returning players: RB Chad Spann – The Cyclones young linebackers will be challenged by the Huskies power running game, but I-State’s offense is much improved and will be too much. 9/11 at Iowa #9 (2009 record: 11-2, 2009 result: Iowa 35 Iowa State 3) – Top returning players: DE Adrian Clayborn / S Tyler Sash – Iowa is going to be a very solid team, but they are beatable. Iowa doesn’t put too many teams away early, in fact the Iowa State game was one of the few games last year that the Hawkeyes won handily. Austen Arnaud will be determined to go out with a win after playing his worst game in last year’s contest. 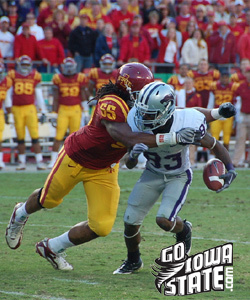 9/18 Kansas State at Arrowhead Stadium (2009 record: 6-6, 2009 result Kansas State 24 Iowa State 23) – Top returning players: RB Daniel Thomas – Very important game for Iowa State. ISU wins the close game this year. 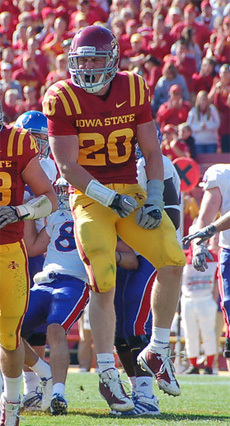 9/25 Northern Iowa (2009 record: 7-4) – Top returning players: TE Schuyler Oordt – The Panthers will come in confident they can win this ball game after beating the Cyclones 24-13 in their last meeting. Iowa State will take care of business this time around. 10/2 Texas Tech (2009 record: 9-4) – Top returning players: LB Brian Duncan – We have no idea what to expect from this Texas Tech team. Our best guess is they take a step back , but they still have a lot of Texas talent on this squad. 10/9 Utah (2009 record 10-3) – Top returning players: RB Eddie Wide / DB Brandon Burton – The Utes will bring a punishing running game to Jack Trice Stadium. The Cyclones need this win badly and find a way to get it done. 10/16 at Oklahoma #7 (2009 record: 8-5) – Top returning players: RB DeMarco Murray / WR Ryan Broyles / LB Travis Lewis – Oklahoma had a down season last year and will take it out on opponents this year. OU has a too much talent, but expect our boys to battle hard. 10/23 at Texas #5 (2009 record: 13-1) – Top returning players: LB Keenan Robinson / DB Aaron Williams / DB Curtis Brown / DB Blake Gideon – Texas will be stout on defense. The Longhorn offense will be a work-in-progress, but you know the talent is there. The Cyclones are 0-7 lifetime against Texas. It would be great to get that first win this year. 10/30 Kansas (2009 record: 5-7, 2009 result: Kansas 41 Iowa State 36) – Top returning players: LB Drew Dudley – We like Turner Gill and think he will be a good coach, but why is there so much love for the Jayhawks this year. The team lost all of their top talent last year, are breaking in a new system and are coming off a 1-7 record in the Big 12. We think they stay at the bottom of the Big 12 again this season. 11/6 Nebraska #8 (2009 record: 10-4, 2009 result: Iowa State 9 Nebraska 7) – Top returning players: DL Jared Crick /DB Prince Amukamara – Iowa State will be out to prove that last year’s victory in Lincoln was no joke. The Cyclones will trade blows with the Huskers and send them off to the Big 10 with a two game losing streak against Iowa State. 11/13 at Colorado (2009 record: 3-9, 2009 result: Iowa State 17 Colorado 10) – Top returning players: OL Nate Solder / OL Ryan Miller – We should know Dan Hawkins fate by the time of this game. If Colorado is having a good season, it will be a close game. We think the Buffaloes season will be spiraling by this point and Iowa State will take advantage. 11/20 Missouri (2009 record: 8-5, 2009 result: Missouri 34 Iowa State 24) – Top returning players: DE Aldon Smith – The Tigers have relied heavily on their offense to win games. MU is on the verge of losing their top running back and are inexperienced at wide receiver. Blaine Gabbert and company will put up points, but the Cyclones will score more.